Cape Town learners are set to get an enormous boost from this year’s Artscape youth programme, following the return of the Grade 12 isiXhosa set-work play (Amaza), an Artscape youth development skills production to be held from 13 – 24 May 2013 at 10h30am at the Artscape Theatre. Generously supported by the Western Cape Education Department, Amaza forms part of the Artscape educational youth development programme that aims to promote social cohesion, good citizenship and empowerment through the arts. 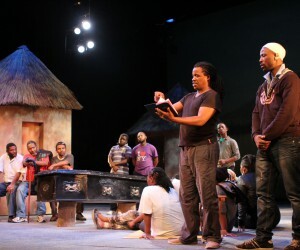 The high quality production, by ZS Qangule, is in its fourth consecutive season and it is aimed at Grade 12 isiXhosa learners from the greater Cape Town area, who will get the opportunity to experience the play in their own language and further equip them with essential skills to become performers. The two hour play will once again be presented as a full stage production. 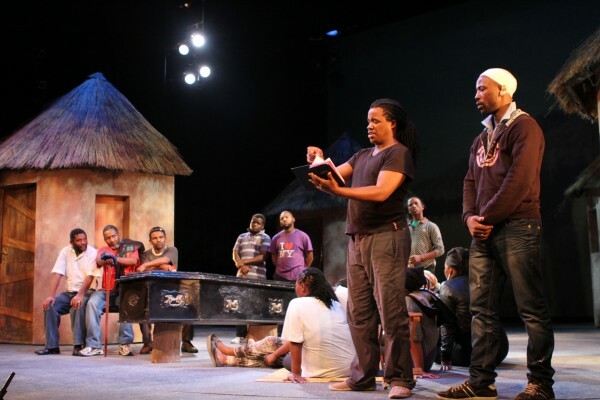 Over 4700 learners from 60 previously disadvantaged schools saw the production in 2012. Directed by Peggy Zinziswa Mongoato, and assistant director, Phumeza Rashe Amaza is a 17 cast member thriller set in a rural village in the Transkei. A police detective stationed in Port Elizabeth is investigating a private and personal matter. This case takes him back to the village where he and the woman he married came from. His visit there coincides with the double funeral of a couple that were mysteriously murdered in Johannesburg. Adultery, deceit and lies are just some of the ingredients of this intriguing tale. His investigation takes him to Johannesburg, then to Swaziland and back to Port Elizabeth. As he is trying to solve the mystery, he stumbles across the evidence he was looking for in the first place. The production will serve as a basis for the upcoming High School Mini Drama Festivals to be held at various schools on 27- 31 May 2013, 1 and 3 June 2013. It will give learners an opportunity to create and present an original drama on a professional stage while also learning the discipline to being a performer. This year’s theme is Against all odds/ Teen oorwig van waarskynlikheid/ Noba kumnyama entle. ‘’The aim of the High School Drama Festival is to give learners a platform to voice their own creativity, views and concerns to a captive audience and alongside that the opportunity to broaden their horizons by experiencing the magic of live theatre, professional lighting and sound and with an audience,’’ says Marlene Le Roux, Director of Audience Development and Education for Artscape. Schools entering the competition are required to prepare a 35 minute original production based on their own interpretation of the theme and 10 minutes of the play should be presented at the mini festival as an abridged version of the original production. Out of approximately 60 entries, 16 are selected to participate in the main festival at the Artscape Arena from 12 to 15 August 2013 followed by the award ceremony which will take place the morning of 17 August 2013 in the Artscape Arena.